riding a Dutch KOGA Kimera. Around the world in 80 days on a KOGA Kimera. 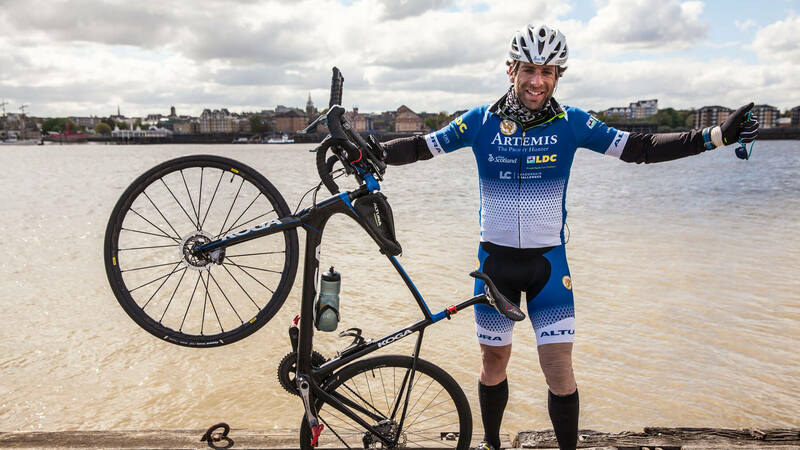 The Scottish adventurer Mark Beaumont has pushed his physical and mental boundaries to the absolute limit on his latest adventure. On July 2, he left for the ultimate challenge to smash the current world record of 123 days, by no less than 43 days. Mission accomplished: on September 18 th he finished in Paris after 79 days on the road. 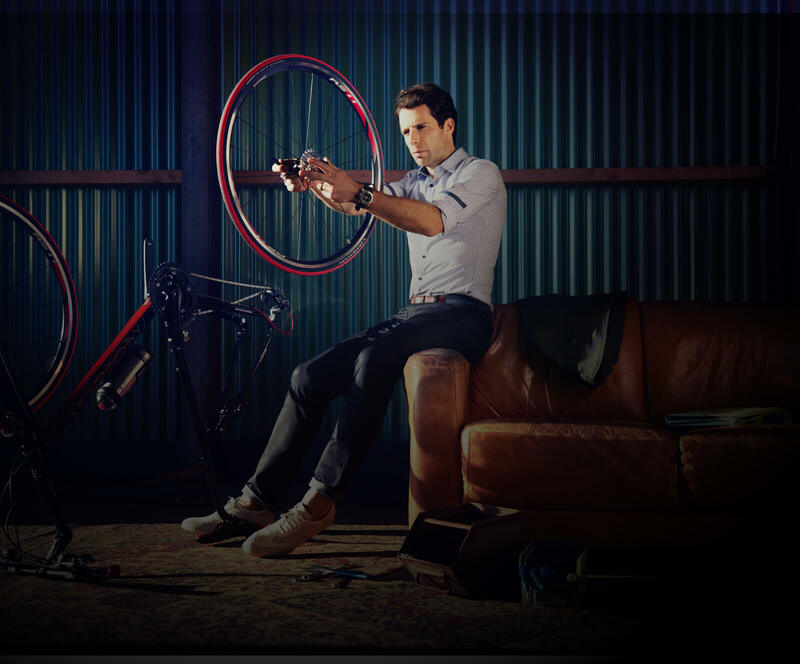 Mark will ride a customised version of the KOGA Kimera Premium. 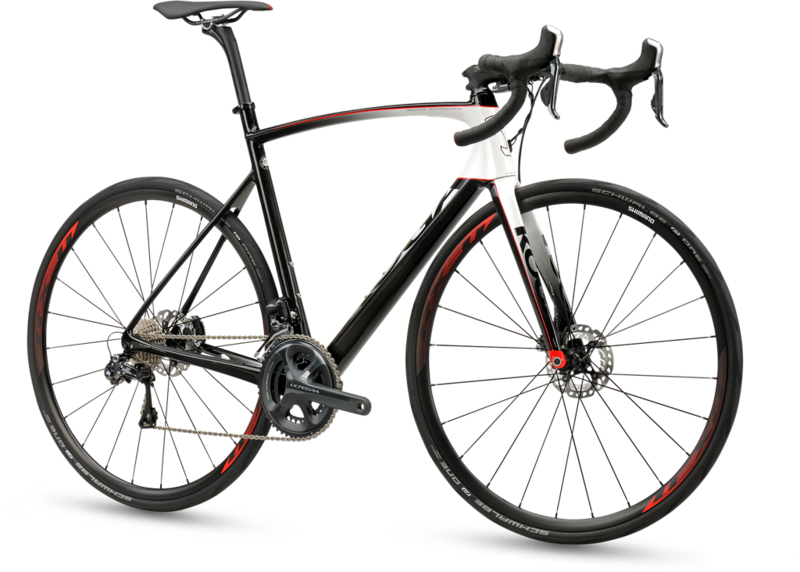 The frame and front fork are FEM optimized and fully constructed from High Modulus UD carbon with a very high tensile strength, resulting in a lightweight and stiff frame. In addition to the aerodynamic materials used, Mark will also adopt an aerodynamic riding posture, this has significant payoffs. However, the most aerodynamic position is unfortunately not the most comfortable. 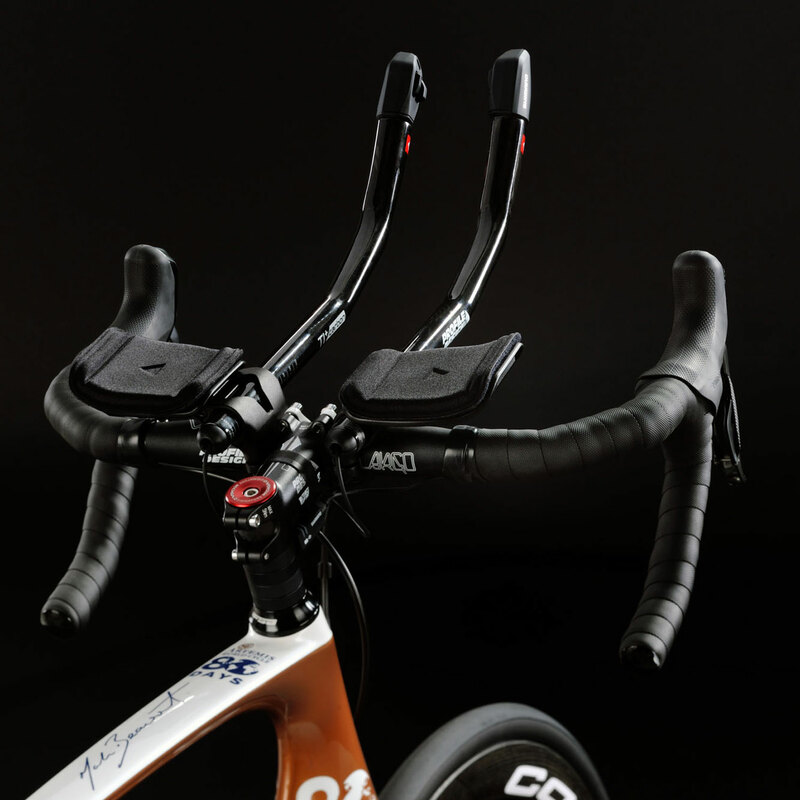 The Profile Design cockpit and aerobar have been designed in such a way that Mark can maintain his aerodynamic posture over long periods. 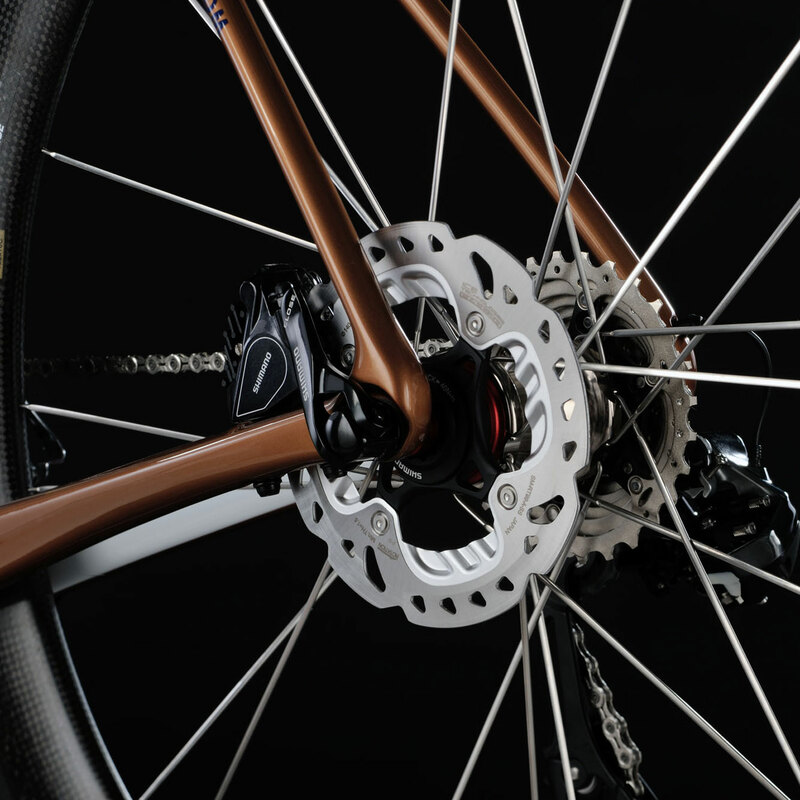 Hydraulic Shimano Ultegra disc brakes provide the ultimate in braking power under all conditions and the different circumstances, Mark will surely encounter around the world. 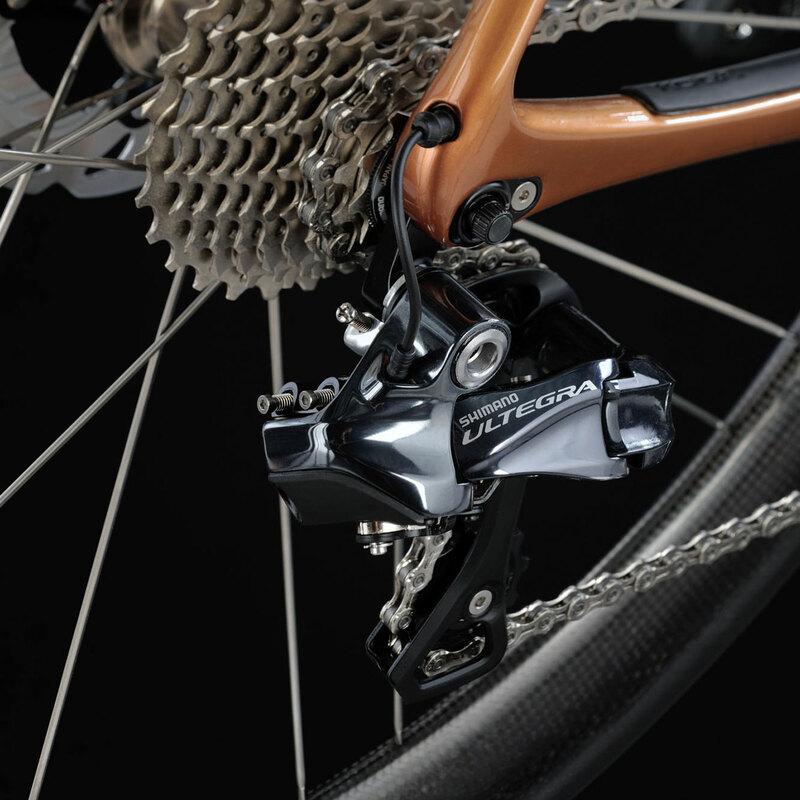 Shimano Ultegra has proven itself as a very reliable and wear-resistant group set, both qualities of which are essential to Mark. In addition, Di2 electronic switching has been incorporated, this works extremely fast, accurately and without effort. This will allow him to conserve his energy during the journey. 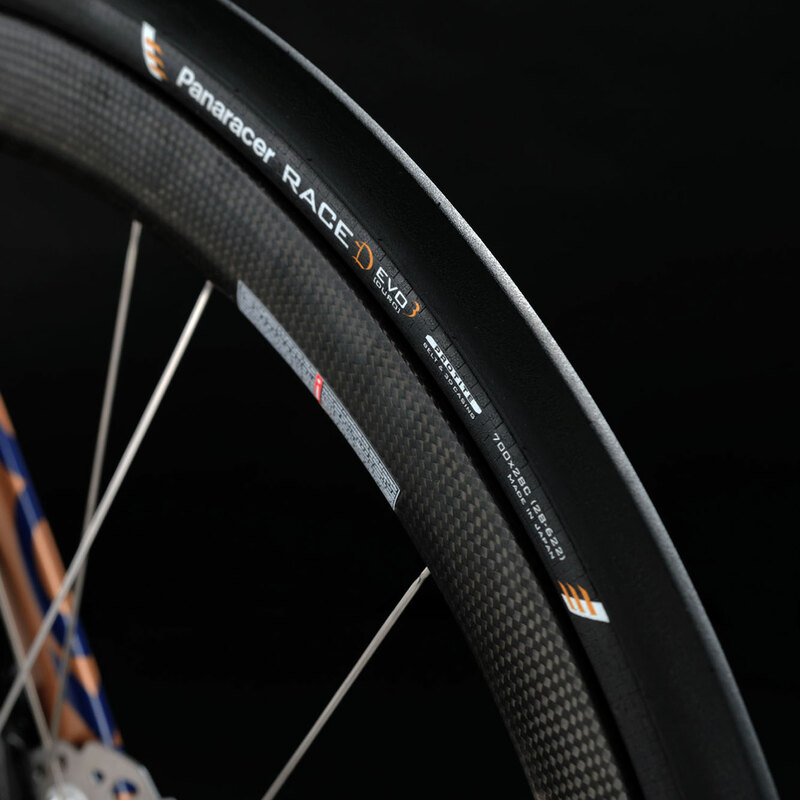 Mark uses 28mm Panaracer tires. These "wide" tires provide the necessary comfort, but also contribute to better aerodynamics. Despite the width, these tires score points due to their low rolling resistance, which will help contribute towards the faster completion of the ride. 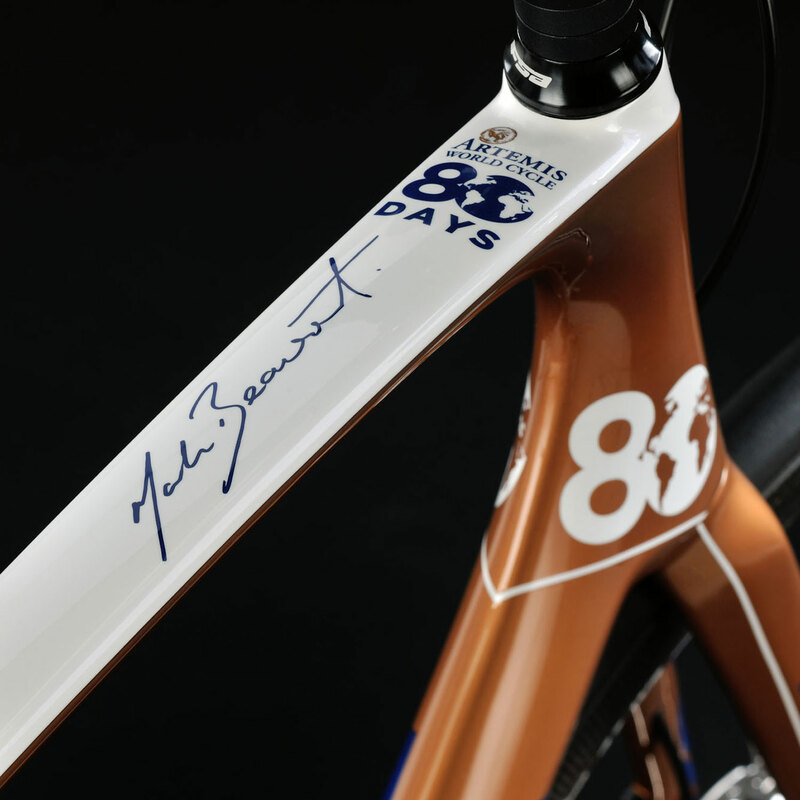 80 days in a row, with 16 hours and 386 km a day spent on a racing saddle, just imagine it! Mark has been using the SMP saddle for years, enabling him to endure such long rides without significant physical problems. 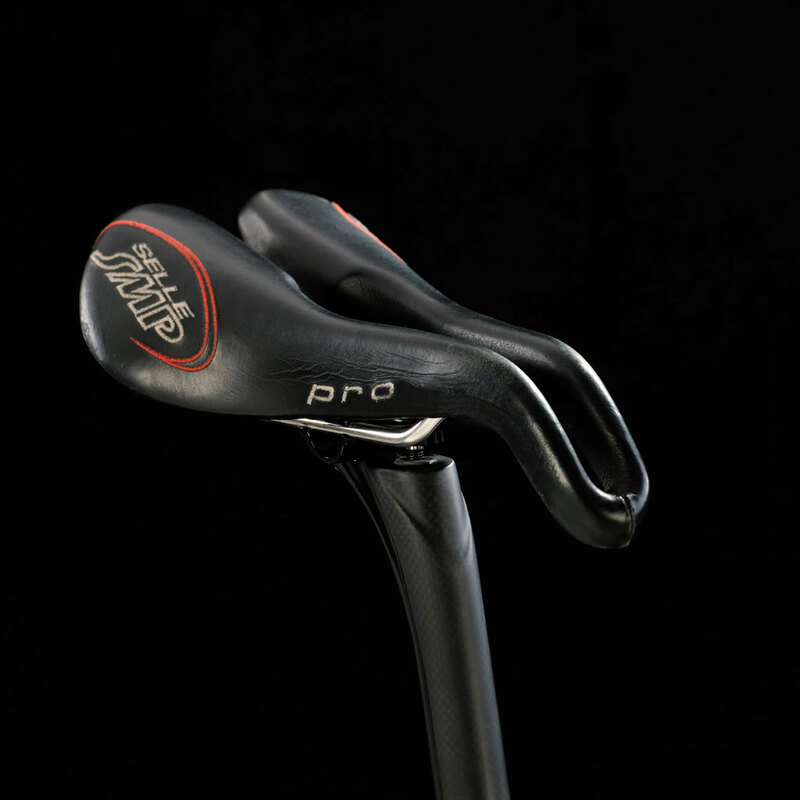 The choice for a saddle is of course very personal, but it should be clear that this is an important aspect of Ultra Endurance Cycling. KOGA and Mark have been working side by side for years.  All of his great adventures and records have been achieved whilst riding a KOGA. We are proud that Mark has again chosen KOGA and we celebrate his record of impressive performances riding a KOGA over the last 10 years. 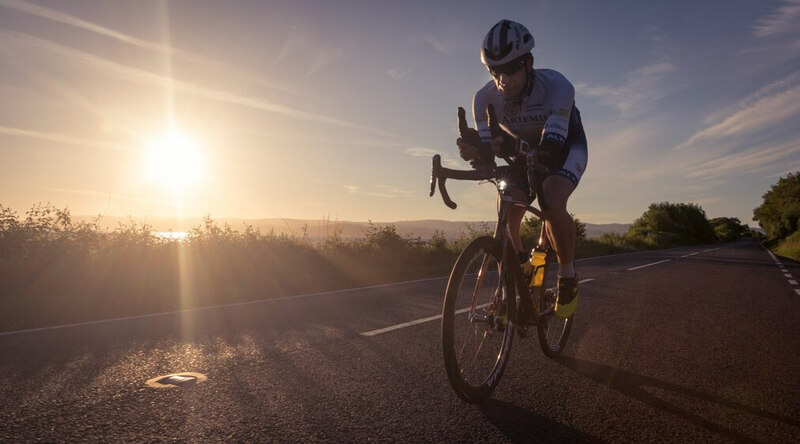 Beaumont approaches KOGA for a KOGA WorldTraveller – he then cycles around the world in 245 days creating a new world record. 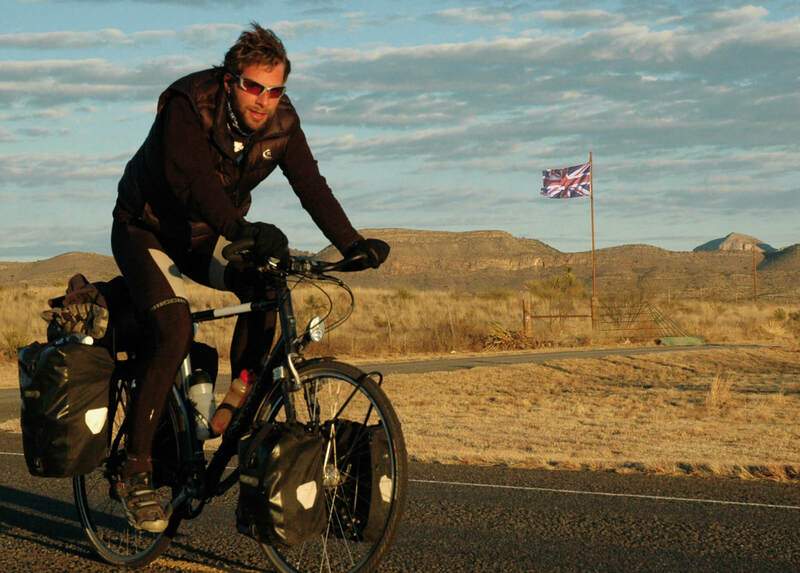 The BBC makes a documentary about the trip - later broadcast as The man who cycled the world. 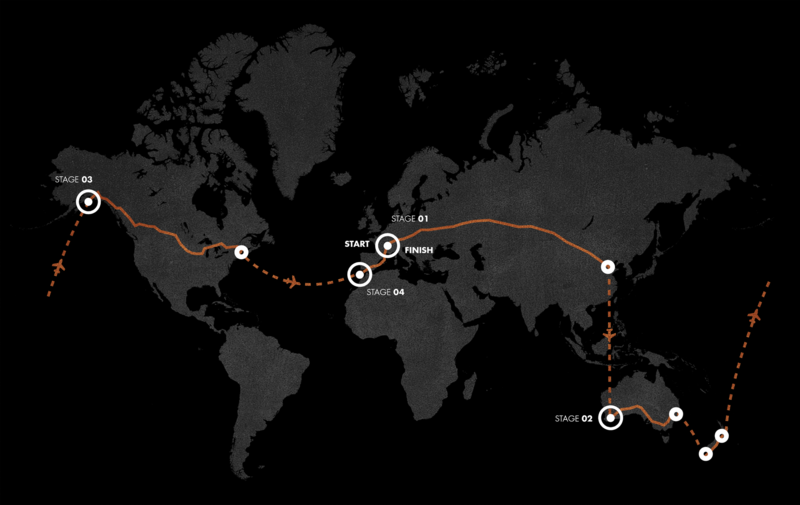 Mark returns to his KOGA WorldTraveller, this time riding from Alaska, USA to Ushuaia, Argentina. Mark chooses a KOGA Durado race bike in order to attempt the fastest solo ride from Cairo to Cape Town. With an average of 256 kilometers a day a new record was set. 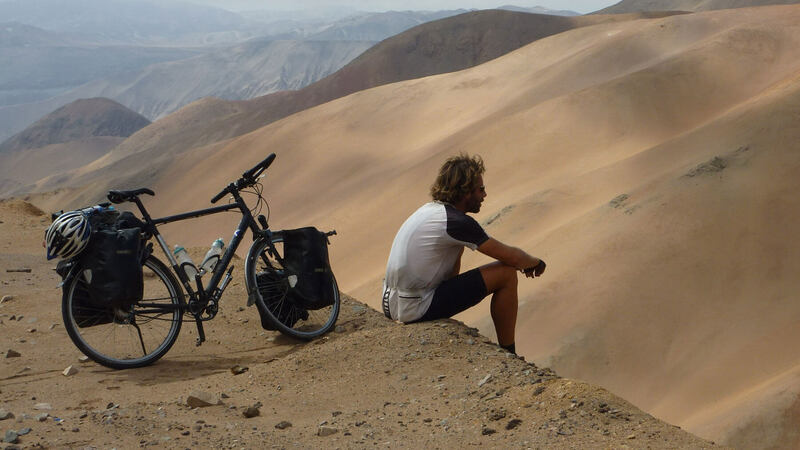 A few months after his Africa Solo adventure, Mark returned to the saddle of his KOGA Durado for his longest ever non-stop ride. 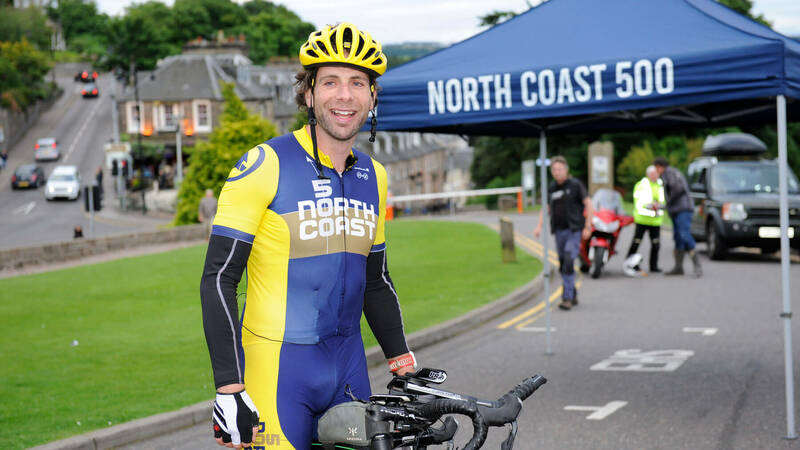 He managed to complete the 830 kilometers along the North Coast 500 in 37 hours and 58 minutes. The general rehearsal on the Kimera Premium to test Mark's plans and support team before starting his extreme record attempt “Around the World” on July 2nd in Paris. 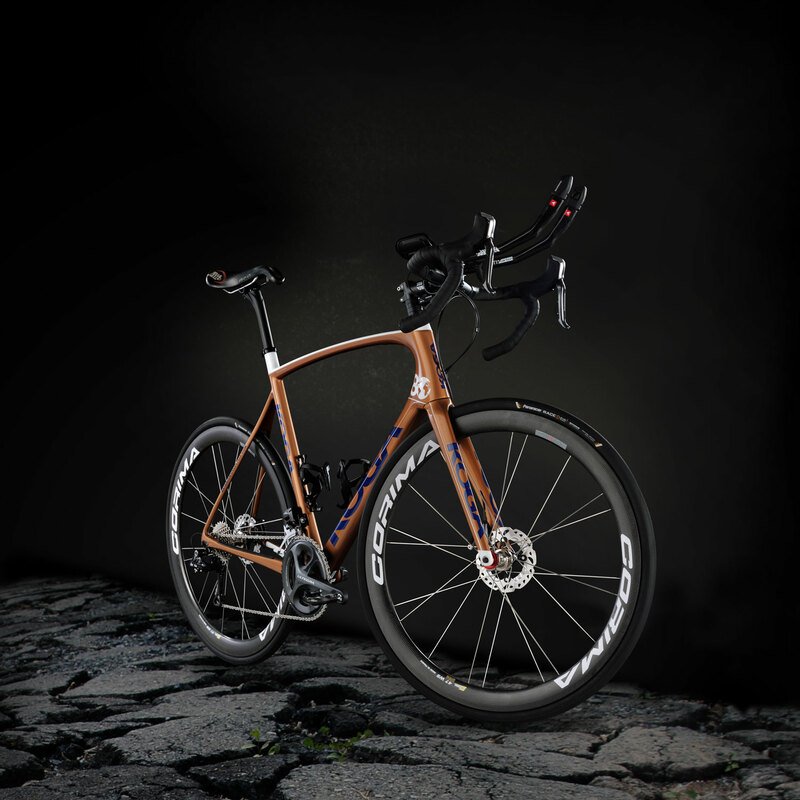 Whatever level of performance you want, we make the bike that fits it perfectly. Learn more about Mark and his world record?